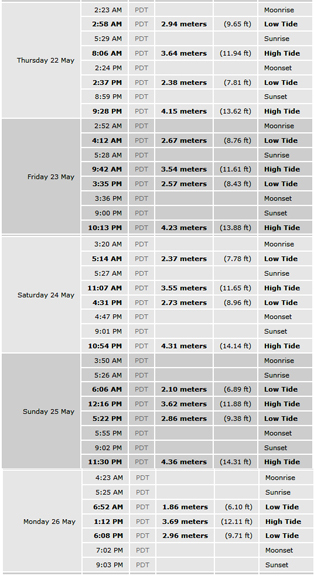 Sekiu and the rest of Marine Area 5 opens for halibut Thursday through Sunday, May 22-25, for Memorial Day weekend. The fishery will open again May 29-31 and will be open one final day on Saturday, June 7, if enough quota remains. The Sekiu halibut fishing map above shows the prime places to fish. Traditionally the majority of anglers here drift the flat areas between the Sekiu and Hoko river mouths. A few anglers this year will anchor, and will likely do extremely well. However, anchoring here will require a strong dose of common sense. First off, anchoring in the prime drift zone won’t be wise as it would only serve to disrupt the drift of many boats and cause your fellow halibut anglers to hate you. Also, this area can get rough or have high swells. Remember, anchors should only be deployed when conditions allow. Don’t anchor during rough wind and waves. Always stay safe. Best Depths: 120 to 260 feet. One top strategy is to begin in 120 feet and drift between the two rivers. If you catch halibut during the drift repeat when you complete the drift. No fish, no worries, just move into 140 to 160 feet and try that drift depth. Continue working into deeper water if you fail to find hungry halibut. And yes, some anglers will reverse this strategy and begin in the deeper drift and move shallow, which also works. I prefer the shallow to deep approach because it is easier to fish shallow than deep. Best Baits: Try large sardine here. Sardines have lots of oil and will provide a good scent trail. Make three slices into the sardine on both sides to increase the scent coming from the bait. Herring also works well as well as squid and salmon bellies. Be sure to brine your bait to toughen it up so it stays on the hook longer. Prepare your brine two days before the season and keep your brined bait in a small six pack cooler. Keep your six pack cooler in the fridge until you leave for Sekiu. While on the boat, put a Ziploc bag filled with ice in your six pack cooler. Best Lures: Virtually any of your favorite lures should work great, especially on opening weekend when fish are more plentiful and hopefully aggressive. As always, I like FAT Squids, Z2 Squids, double skirts and jigs. When fishing in the shallows jigs might be a great choice. 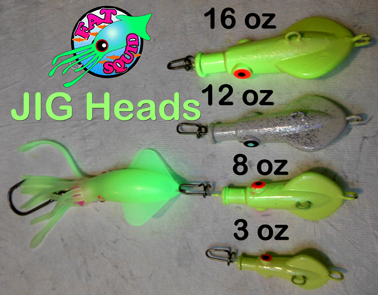 Try the new FAT Squid Jig Head. Last week I experimented with a short baitfish leader with a whole herring and attached it tot the jig head. It looked great and swam behind the jig head. I prefer attaching the mainline on the end of the jig head. This entry was posted in Halibut Fishing Tips, Washington Halibut Maps and tagged Fishing Sekiu, halibut fishing Sekiu, how to halibut fish Sekiu, Sekiu, Sekiu halibut, Sekiu halibut fishing, where to fish halibut in Sekiu. Bookmark the permalink.